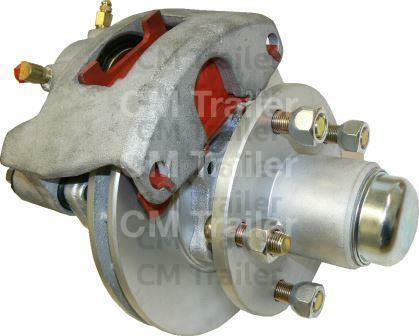 Disc brakes from CM could be the best investment you ever make. 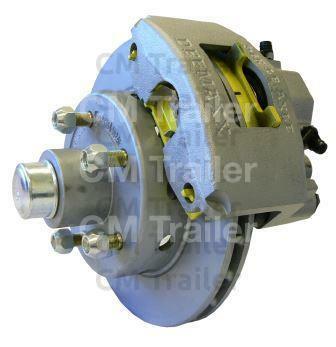 Superior caliper design for extra strength, quality materials, quality workmanship and corrosion protection make these the best performing disc brakes on the NZ market. Stud patterns up to 5 1/2" (140mm) PCD. Ceramic pads: improve performance plus 50% to 100% longer pad life. Longest warranty in the industry: 6 years Stainless Steel / 3 years Dacromet Coated. Conditions apply. 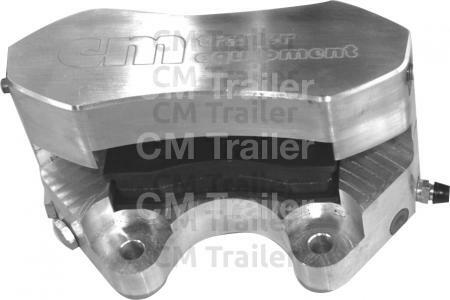 Large pistons: 2 1/4", largest in the industry. 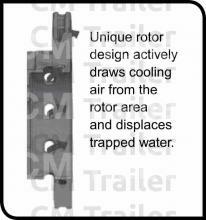 Large diameter rotors: 11:, 22% larger than the opposition, giving more braking force per revolution. 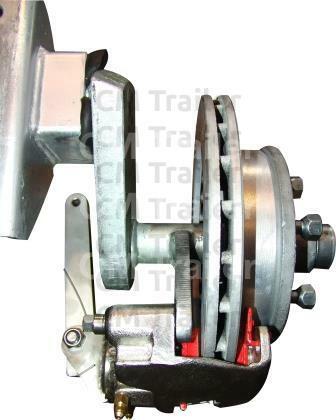 Vented rotors are less susceptible to brake fade and warpage. 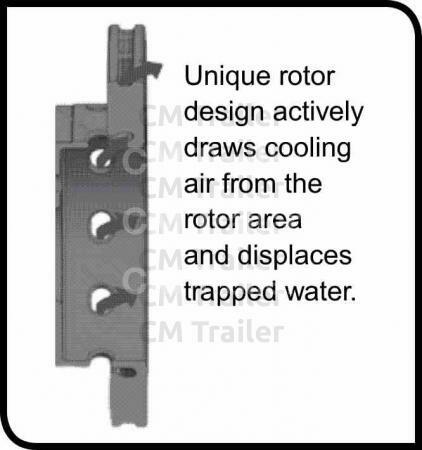 All rotors are balanced with minimal runout. Galvanised SG Iron hubs: machined from quality SG Iron castings and galvanised for maximum protection. 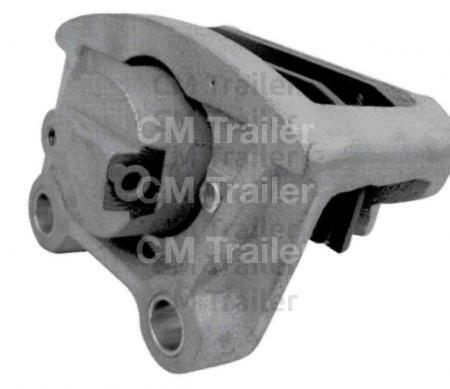 Park brake facility: stub axles also available with a twin mount to fit a mechanical brake. 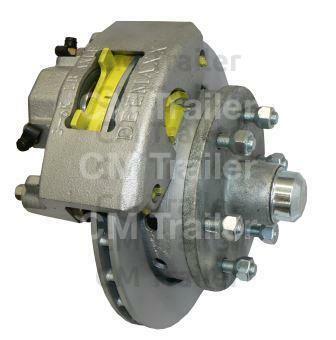 Brake caliper (standard on 2000kg) required for trailers over 2500kg GLW. 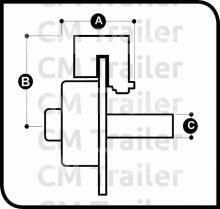 Marine quality triple lip seals: all these disc brakes are fitted with triple lip marine quality seals for optimum wheel bearing protection. 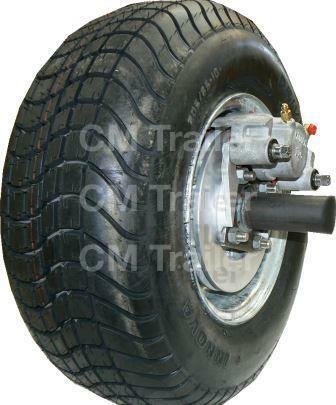 Fits most 13" galvanised OEM spoke boat trailer wheels and the majority of 14", 15" and 16"
Silicone boot seals on all calipers. 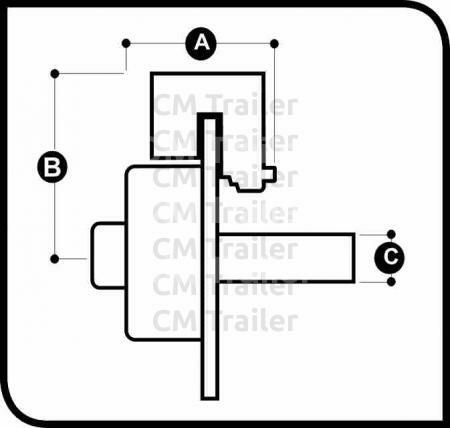 * Gold Line calipers are an entry-level item and do not have any stainless steel components. 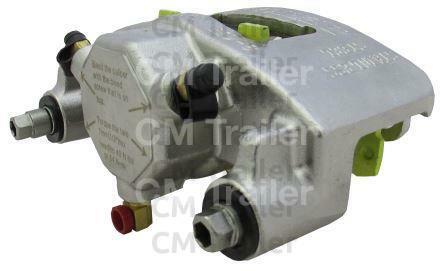 Compatible with old model brake systems.